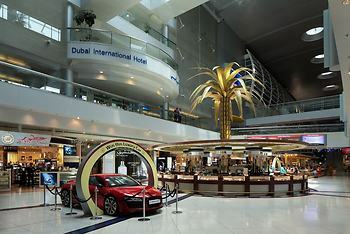 Dubai International Airport Terminal Hotel, Dubai, United Arab Emirates - Lowest Rate Guaranteed! Prime location. No need to wake-up five-hours prior to departure, ride to the airport, check-in, pass through customs, and wait in an uncomfortable and crowded waiting area. I was able to wake-up an hour before my boarding-time, eat, check-out, and arrive at the gate with minutes to spare. Stress-free. The staff was friendly and responsive. I spend great time in the holel. It was excellent. Hotel was perfect location. Easily accessible and friendly accommodating staff. Excellent service. Had a good rest. Welcoming at the gate was truly good after a long flight. Still online interface is a little confusing. Being met as I disembarked my flight by such a friendly and helpful person to guide me to the hotel. I loved the executive room but it was very exepensive, although I liked that it included unlimited food in the executive lounge which was so near my room! The food and the staff service was wonderful. The complimentary massage was just what I needed. There wasn’t anything I didn’t like, but it would be good to be told the layout of the hotel and all the other facilities available as I think there are many things I missed and did not take advantage of. Room service can be better with wider choice.